BuzzSugar has posted their spring list of Books To Read Before They're Movies. 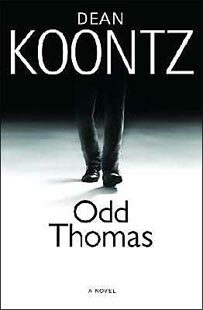 Most of these film adaptations have already been extensively covered here and elsewhere, but I was excited to discover that someone is making a movie version of Dean Koontz's Odd Thomas. Apparently it will star Anton Yelchin (who I thought was charming as the infant version of Chekov in the latest Star Trek movie), so I'm pretty stoked. I've always enjoyed Koontz's storytelling abilities, but I've never been impressed by his actual writing, so I'm hoping I'll enjoy the film adaptation without unfavorably comparing it to its source material.